Check your group profiles, what groups are your admin accounts under? Checking access levels is good – check them as part of your external and internal audits. The whole key with escalation attacks is to gain access to your admin accounts. Bart Kulach claims here that the IBM API output has finally been revealed by him. 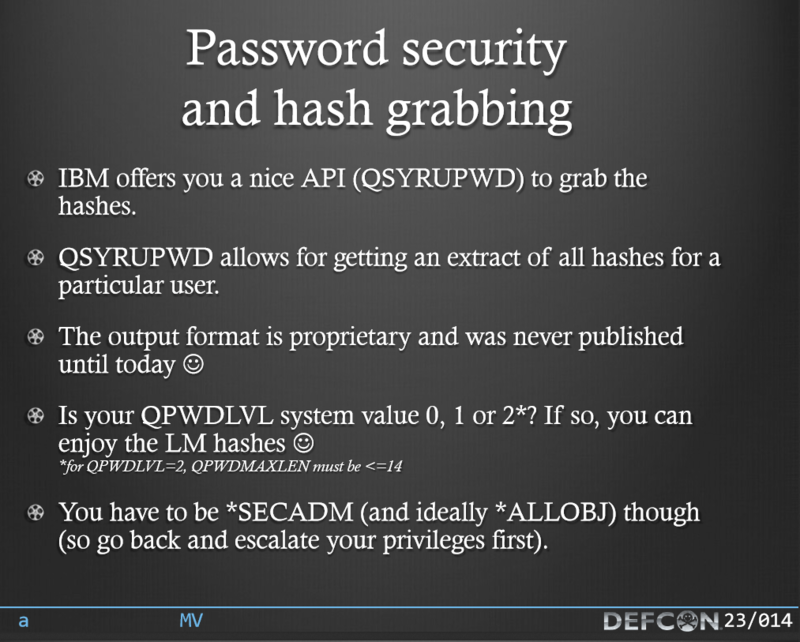 Which means that hackers can now easily attack your AS400 password files. 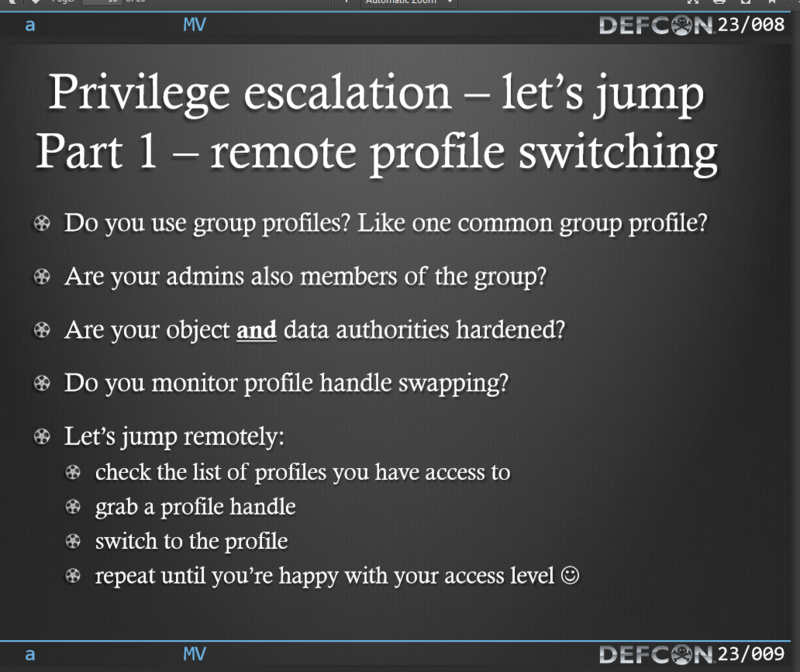 There are still many more Defcon 23 talks to review… each one sometimes gives 1 or 2 good security suggestions. 1. Check your admin account group inclusions, as well as user accounts that have admin level group capabilities. Previous Previous post: DefCon Talk Your: Domain is Compromised “Now What”?